Why Nursing Moms LOVE Breastfeeding Pillows! Why did no one tell me about breastfeeding pillows with my first baby? Luckily, along came a present from a friend…a Bare Naked Boppy with a denim cover. This started my love affair with breastfeeding pillows. A nursing pillow makes it so much easier to position you baby at your breast so that you are both comfortable-especially when your baby is still really tiny. 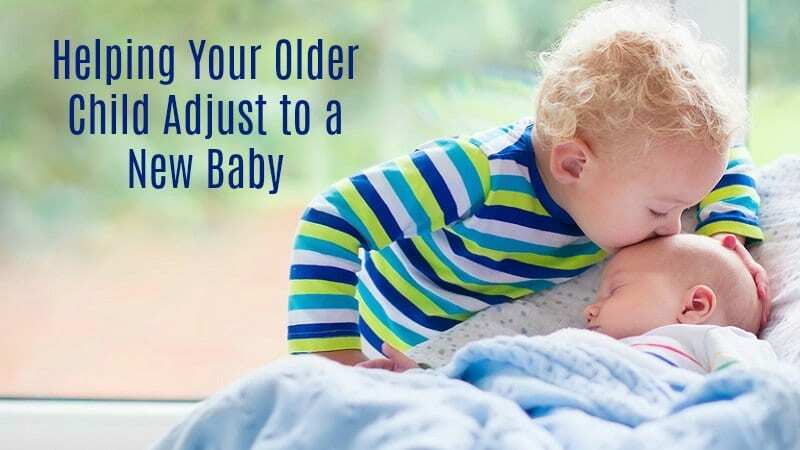 You can position the baby in different ways easily with the help of a good pillow! Although my first love was a Boppy, My Breastfriend has some definite advantages to my old favorite. 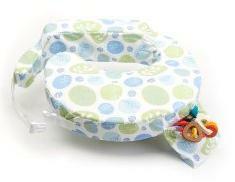 Has a silent-release adjustable strap-a definite plus for the baby who falls asleep while nursing! This product is sent from heaven! You will love it! 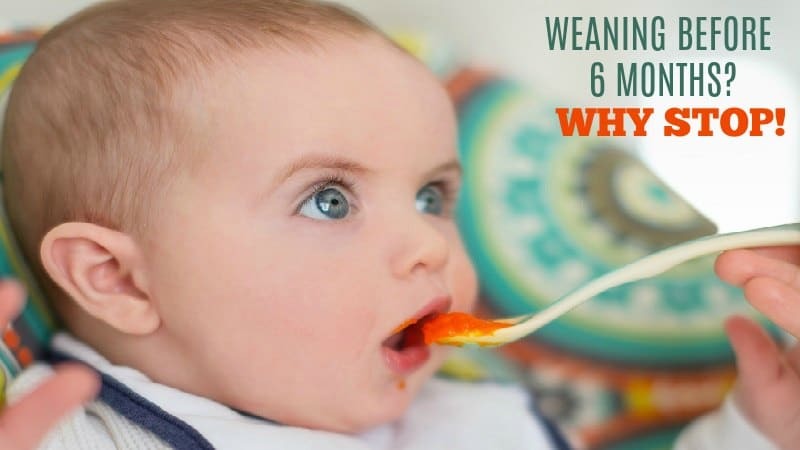 Click here for more information or to read reviews of this product. See my Boppy? It still looks this good after lots and lots of use. Although this is our second choice, I still think it is one of the coolest products out there. As long as you aren’t breastfeeding twins (and need a flatter surface to balance your babies) just pick the product that appeals to you most! Made of 100% cotton with a poly-fiber fill. Click here for more information about Boppys. OK-where was this pillow 10 years ago? I did not choose to co-sleep with my first child. She decided that that was the only way she would sleep! I so wish I had had this back then. What a great product. It is actual a lighted nursing pillow! The soft glow lets you watch what you are doing without disturbing your baby’s or partner’s sleep. 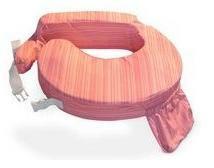 The pillow was even designed by a chiropractor to promote proper spinal alignment within your growing baby. Co-sleepers everywhere are singing praises for this pillow! 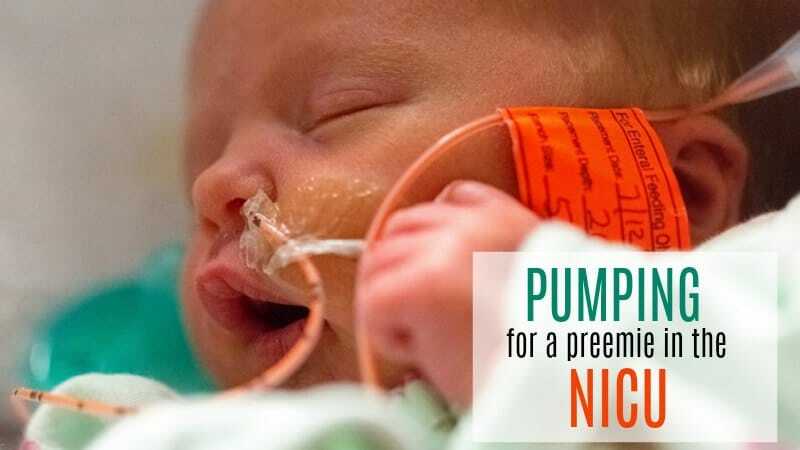 Click here for more information about the Bela Baby Nurse N Glow in Pillow. Can’t leave home without your nursing pillow? Now you don’t have to-My BreastFriend makes a travel pillow. Now you can take it everywhere! It is inflatable…so it stores easily in for traveling anywhere. 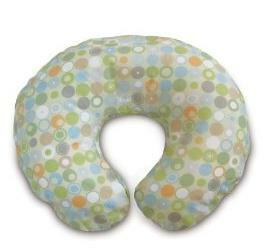 Click here for MyBrestFriend Breastfeeding Travel Pillow information.